The Fiscal Year 2014 Annual Report was such a resounding – and award-winning – success that this year’s needed to surpass it in every way. Work began on this edition in early summer as the editorial staff and photographer crafted compelling narratives to again supplement an upcoming advertising campaign. Design started in December of 2015 once the majority of content had been collected and statistics compiled. 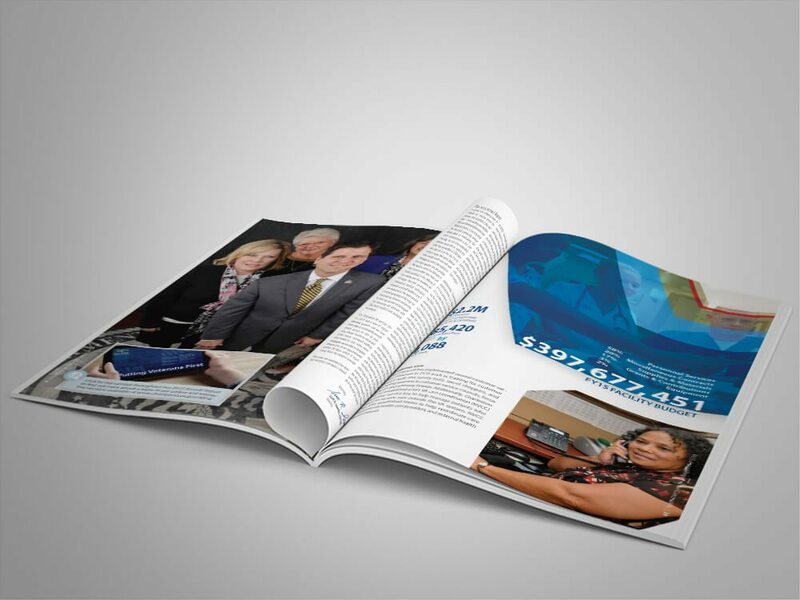 I wanted to ensure that this publication made an impressive impact and was visually engaging. To help this publication stand out from the others produced for the Ralph H. Johnson VAMC, I chose to use an A4 format to make it slightly taller and expanded to 32 pages. 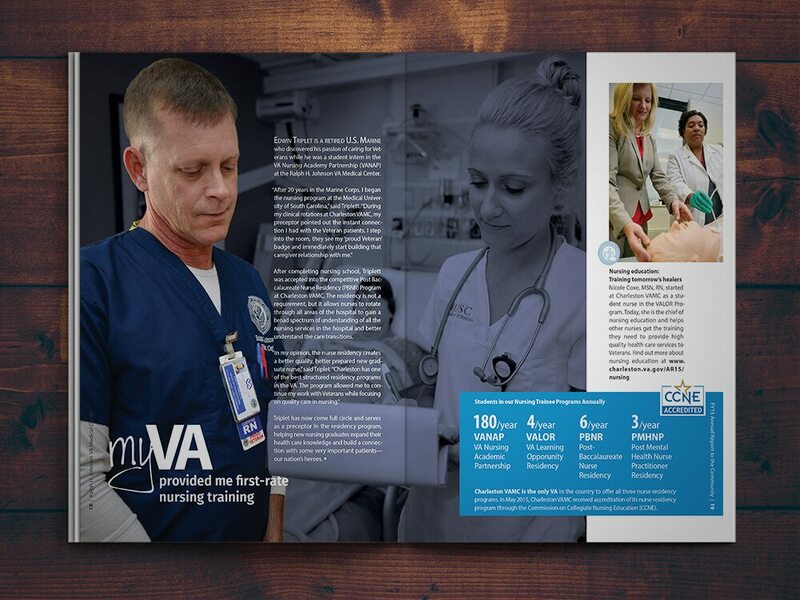 The majority of the publication is devoted to two-page spreads focused on a particular Veteran and his or her provider that aims to show the various services VA provides and the achievements made throughout the year. This document is further strengthened by short teases to additional content available on the facility’s website and the interactive version of this annual report hosted there. 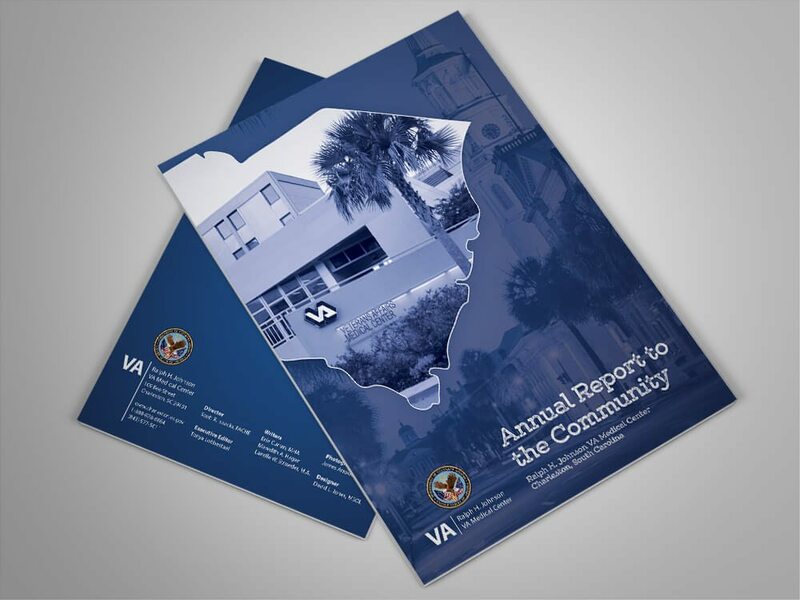 As noted above, the Fiscal Year 2015 Annual Report for the Ralph H. Johnson VAMC is also partially housed online with a number of additional articles on the website. I also developed a fully interactive version that includes an HTML5 layout of this document as well as all the web-only content in a format fit for the new ways in which readers consume content – on their digital devices. You can view the interactive version here.